Helmi aio nappies are made of breathable pul from outside and coolmax or tencel inside. Fastening with aplix or snaps. Instead of rubber band there is a FOE (fold-over-elastc) on leg openings. 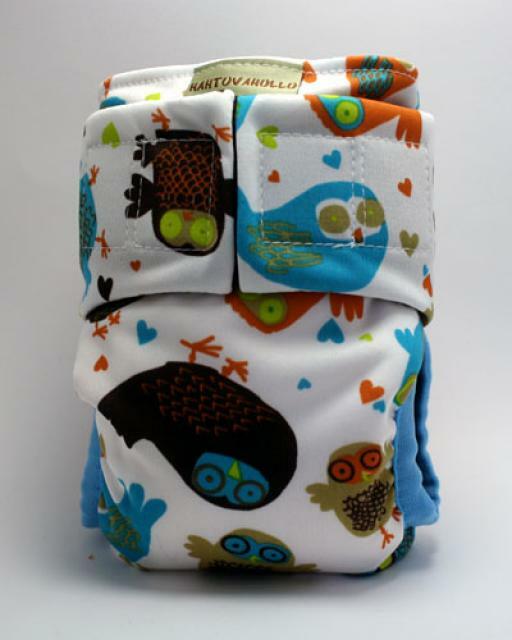 In aio there is 2 layers of absorbant materian sewn in and 3 layers soaker to be attached with snaps inside of nappy.